The mid-size Nissan Frontier is long in teeth and the model is outdated in every aspect. With the all-new Ford Ranger again on the US soil, GM duo ready for the mid-cycle update, recently updated Toyota Tacoma and fresh Honda Ridgeline, one must have the low price as the priority to pick the outdated Frontier. Still, people can appreciate the classic look, comfortable ride, strong V-6 engine and fun-to-drive PRO-4X trim and go with the model instead of newer and better-equipped rivals. However, the Frontier should soon enter the new generation and become better value. 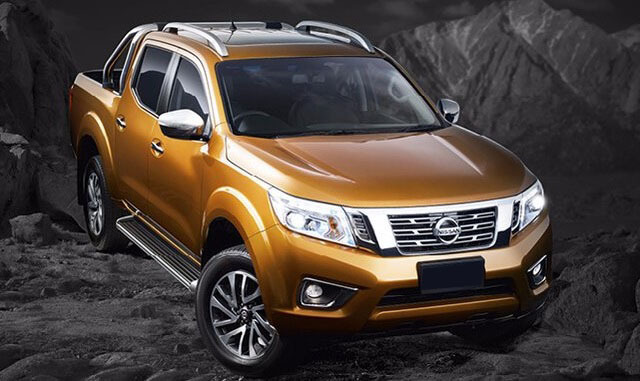 The firm confirmed that we will see the next generation of the Frontier and also revealed it will go to the production at the Canton Vehicle Assembly Plant in Mississippi where Nissan also makes the Titian, Titian XD and Murano. Nissan also said it has the V-6 engine in the mind for the new Frontier but hasn’t revealed more details about the model. So, the redesigned Frontier could arrive as the 2019 Nissan Frontier and based on what we know should borrow much from the global Navara version. The chassis, styling, some of its interior and equipment should be adopted for the US version and some reports also claim that the diesel engine is also on the cards. Based on the information from different sources, Nissan won’t build the 2019 Nissan Frontier from the ground up. 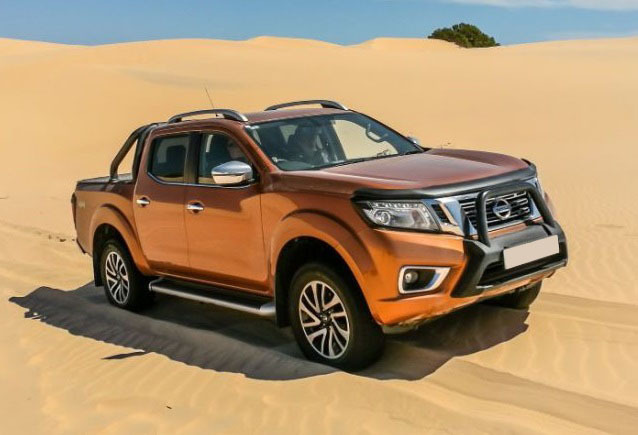 The Navara model that is sold overseas should borrow the chassis and the styling theme for the new-gen Frontier as well as some of its running gear. The tested and proven chassis from this global model also makes the base of the Mercedes X-Class pickup truck and the Navara should also be the donor for the new-generation Mitsubishi Triton. So, as we saw on the new US Ford Ranger which is the familiar form from the global version, the new Frontier should also be the rebadged and updated version of the global model. The styling of the new Frontier shouldn’t also be the surprise as we will likely see no major modifications from the Nissan Navara. The model will adopt the newer, bolder version of the V-motion grille and more modern looking and functional headlights with nice LED accents. The bumpers will also look nicer while sculpted hood edges and fender flares will add more dynamic to the look. The tailgate will also see revisions and the new taillights. The rear bumper will also be new and we should expect the new Frontier in two cab styles, the extended cad and four-door cab. Inside the cabin, we should also see radical improvements. The current Frontier has the functional cab but the new generation will add more refinement and tech. The quality of materials will be better and available in different levels and textures. The outdated infotainment system will be replaced with Nissan’s new platform. Expect also more comfortable seats and more standard equipment. The cloth upholstery will be in the base version but it should include the new version infotainment system, nicer textures, air conditioning and more. The upper grades will bring automatic climate control, alloy wheels, heated seats, fog lights, a sunroof and more features. The current Frontier offers the rearview camera in all versions but lacks modern, active safety systems. The new-generation will address this and add active crash avoidance equipment, blind-spot monitoring, etc. Nissan confirmed that new V-6 engine should appear in the Nissan Titan model and this engine should also be the part of the redesigned 2019 Nissan Frontier. Some sources also claim that the diesel engine could also become the option as more pickup trucks arrive in the US with the diesel power. The Cummins 2.8-liter turbodiesel could be the new engine available with the new Frontier and with the power around 200 hp while the torque reaches around 380 lb-ft. The current Nissan has a 2.5-liter four-cylinder base engine with the manual or 5-speed automatic transmission. This engine is barely enough with 152 hp of power and 171 pound-feet of torque. The 4.0-liter six-cylinder option provides more power and acceleration but also needs more refinement and efficiency. This engine makes 261 hp and torque of 281 pound-feet but the new V-6 could approach to 300 hp. The new version will also improve the chassis rigidity and upgrade suspension which should translate to better ride quality and capability. The model will again offer the off-road upgrades and the fun-to-drive PRO-4X version. The next-generation 2019 Nissan Frontier should appear sometime next year. Nissan still hides most details but we don’t expect big surprises considering that global Navara model should be the inspiration. What we should expect is the slight price increase and the base model should start at around $20, 000.